Scientists have identified new ways to provide vaccines against polio, which do not require the growth of live virus for their manufacture. 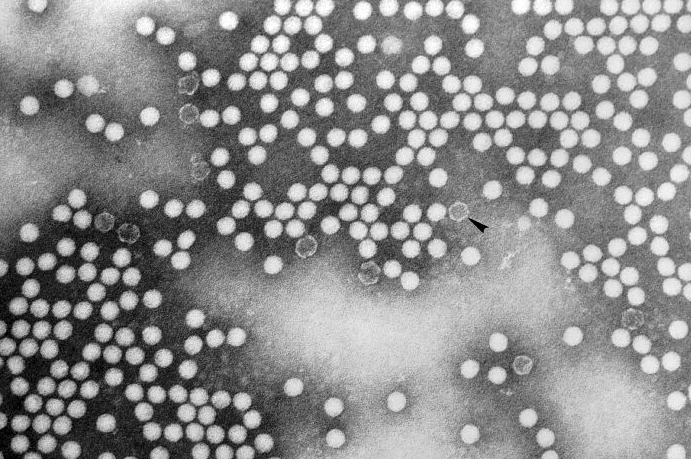 Despite the success of vaccines produced from ‘virus-like particles’ (VLPs) for hepatitis B and human papilloma viruses, poliovirus VLPs have proved to be too unstable to make practical vaccines. Now, a research team at the University of Leeds has found a new way to modify these VLPs, also known as ’empty capsids’ by identifying mutations which make their structures sufficiently stable to act as vaccines. Polio is on the verge of being eradicated world-wide, but even when it has been officially declared as extinct as a disease, governments will need to continue to vaccinate to ensure against it recurring. These new stabilised VLPs are suitable as replacements for the current killed poliovirus vaccines and can be produced in ways that do not require the growth of live virus. “The improved stability of these modified VLPs means that they can be produced using bioengineering techniques without involving the growth of live virus”. This study was a lab experiment, which shows stabilised VLPs to be effective in a controlled environment. Further research using animals (rats and mice) is planned, as part of the essential process of making sure the new VLPs are safe and effective for use in humans. Professor Nicola Stonehouse, co-leader of the study, from the University of Leeds said: “The international drive to eradicate polio using existing vaccines continues, but methods need to be found to maintain vaccination safely as insurance after it appears to have been eradicated. This is when our approach will come into its own.